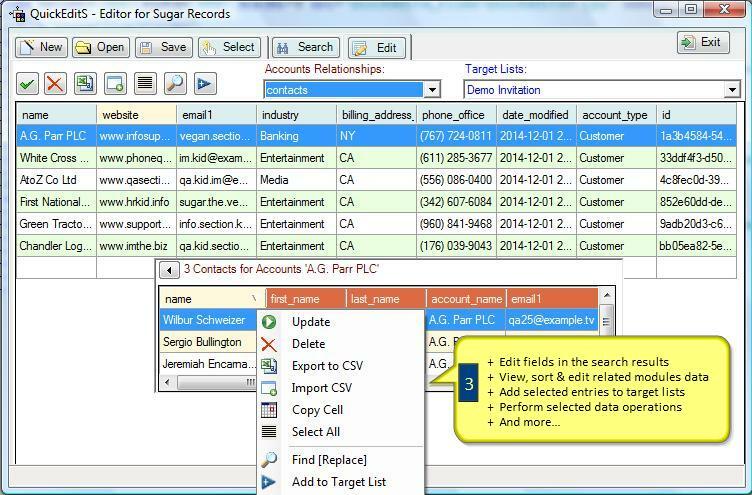 Work seamlessly across all SugarCRM™ editions using a spreadsheet-like interface. 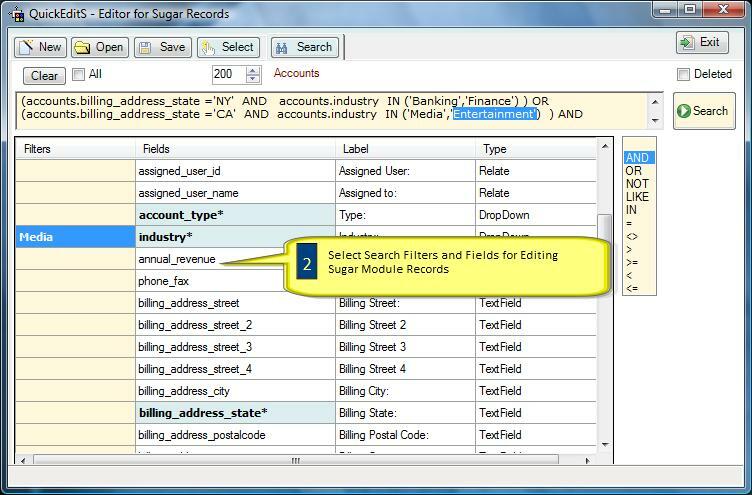 Search on-demand or on-premise instances for module records using enhanced filtering. Import and Export thousands of records quickly for your reporting needs or database updates. Find and replace field values across multiple records. View and edit any related module records. QuickEditS offers Online as well as Windows OS editions. 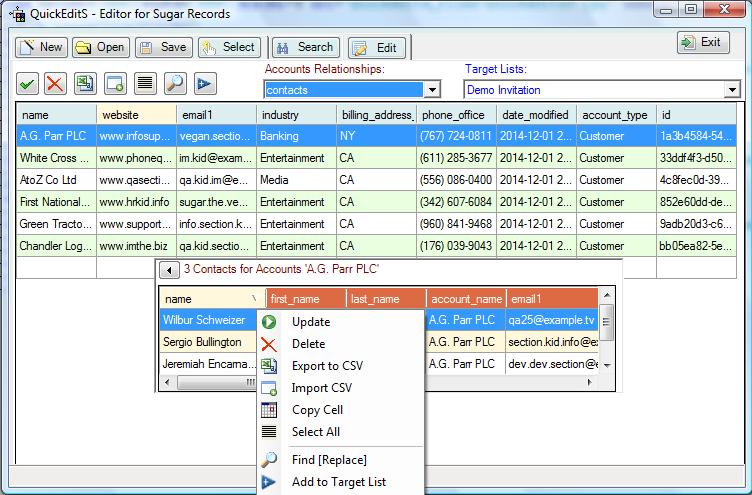 The Windows Edition gives multiple users access to multiple CRM instances. The online service edition works with desktops, tablets and mobile devices. Each QuickEditS edition supports multiple configurations that users can set and reuse. 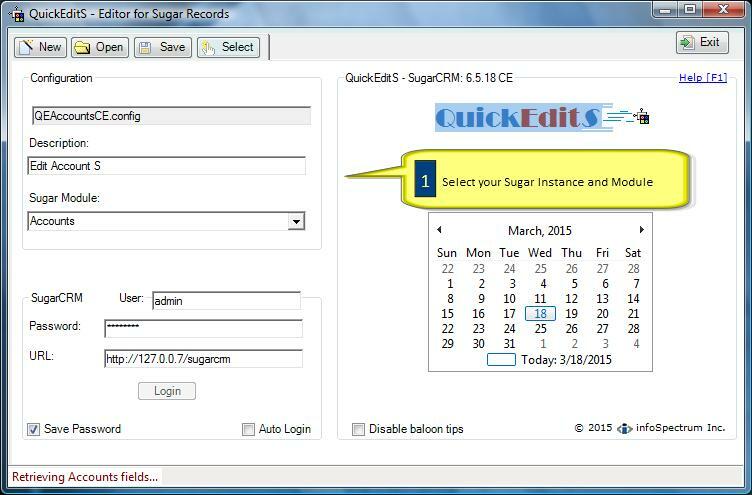 QuickEditS users can also perform several other record operations, in addition to field editing.